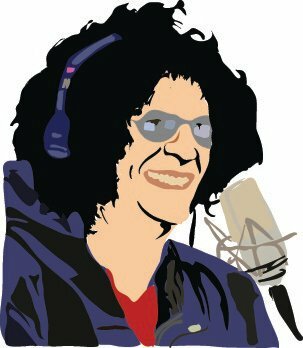 Howard Stern says he feels insulted by NY Post’s article which mentioned him taking over Jimmy Fallon’s late night gig on NBC. A New York Post report claimed that NBC executives were “grooming” Stern for the 12:30am time slot, if Fallon was to take over The Tonight Show from Jay Leno in 2014. Leave grooming to doggie day spa’s. Howard does not need to be groomed. He already has more talent than any of the people mentioned that he might be replacing. I wish he would give me a shot but he is afraid of the competition frankly and I for one cannot blame him. I would not want to be facing myself in head to head competition. Howard spends so much time quaking in the corner that he actually set off an earthquake alarm once, no lie, I am telling the truth. The civil engineers still talk about it to this very day. Howard, just face your fears and have me on once and you will see that being shown up is not all that painful and you will get over it. Howard is talented and he will always come back. He has more lives than a freakin cat.